If you are a Champion team, you should have at least 3 batsmen who could score runs in all conditions. You should have a Rahul Dravid, Sachin Tendulkar and a V.V.S Laxman in the team. In the current Indian team, only Virat Kohli has such unique qualities. Ajinkya Rahane was earlier considered a consistent batsman in overseas conditions but of late Rahane has lost his consistency. Pujara’s overseas records are average, to say the least. The others are all flat track bullies who would be a burden to the team on overseas tours. The current Indian team has only one world class batsman who can score in all conditions. They don’t have a Sehwag to take the opposition bowlers by the scruff of their neck. That diminishes the quality of a champion team. In order to win a Test match, any team should have bowlers who are capable of taking 20 wickets. It is true that the current Indian team has very good fast bowlers to fit that bill. 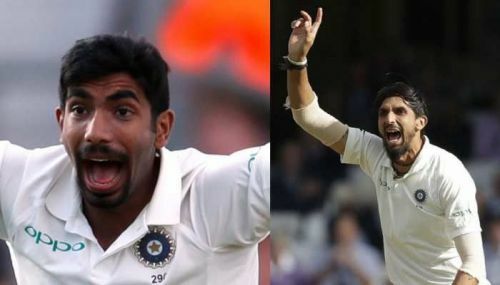 In the recent England series, the Indian bowlers did a commendable job by taking 20 wickets in the first, third and fourth Test matches. In the second Test at Lord’s, in the only innings they bowled, the bowlers took 7 wickets for almost 400 runs. 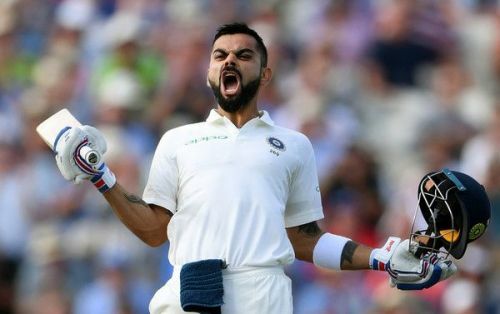 Again, in the second innings of the last Test match at the Oval, the Indian bowlers gave away 423 runs claiming 8 wickets in the process. It was in the South African series that the Indian bowlers showed their prowess by taking all the possible wickets in that 3 Test series. It was the Indian batsmen who let the bowlers down both in South Africa and England. The only area of concern for the Indian bowlers is allowing the tail to wag which is discussed elsewhere in this article. To sum up, this Indian team has quality fast bowlers to conquer overseas conditions.